A criminal investigation into allegations of election fraud has been launched by Florida Attorney General Pam Bondi. 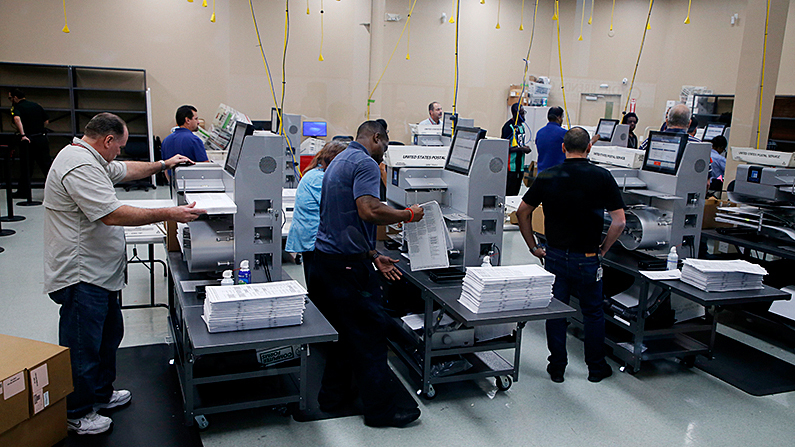 The investigation follows a judge’s ruling that supervisors in both Palm County and Broward County violated Florida’s constitution in their handling of the midterm elections. The ruling did not address allegations of fraud. This is not the first time Broward County has run afoul of the law with elections. Earlier this year, Broward Supervisor of Elections Brenda Snipes illegally destroyed primary ballots despite a court order mandating she not get rid of them, and mixed at least 20 illegal votes into the midterm results. Reports of ballot boxes found in school closets, rental cars, and other odd areas have also cropped up following the Nov. 6 midterms. Bondi said on Nov. 13 that there’s been no confirmation of election fraud in Florida as of yet. “There have been so many allegations, and right now that’s all that they are—they’re allegations,” she said during an appearance on Fox News. She said that prosecutors from her office have gone to various locations to investigate vote fraud claims and that people can contact a tip hotline launched by the Florida Department of Law Enforcement, at (850) 410-7240. “If folks feel that they have seen evidence of fraud, call that in. We are clearly doing an investigation. We have made no conclusions. But this is about the integrity of our election process, and wherever it leads, we want to be sure that voters know that our process is going to be fair and legal,” Bondi added. Bondi’s office is examining an array of potential fraud issues, including missed deadlines for vote tabulations by Broward County and other counties. She noted that deadlines are critical to the election process and criticized lawsuits that are attempting to change or remove deadlines. She also said the lawsuits are trying to retroactively change the law to remove the requirement for signatures on provisional and vote-by-mail ballots. The investigation comes as a machine recount is underway for four races, including a U.S. Senate race between Gov. Rick Scott, a Republican, and Sen. Bill Nelson (D-Fla.). Unofficial returns showed Scott’s leading Nelson by 12,562 votes. Another big race with a recount underway is for governor, with Rep. Ron DeSantis (R-Fla.) taking on Tallahassee mayor Andrew Gillum. The pre-recount results showed DeSantis with a lead of 33,652 votes. The deadline has been an issue for certain counties, with Palm Beach County claiming it couldn’t meet it and Broward County starting its recount of more than 700,000 ballots a full three days after another large county, Miami-Dade, began preparing its ballots, reported the Miami Herald. Races under a margin of 0.5 percentage points go to a machine recount and if, after that recount, they are under a margin of 0.25 percentage points, a hand recount takes place.